When a file is saved in Mac hard disk, we suppose that it is saved in continuous memory block on the Mac disk. But, it doesn't always happen and not all the files on the drive are stored in continuous block. 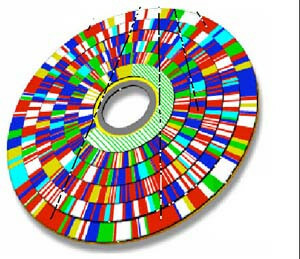 Many files on the disk splitted into several chunks and scattered. When we open those files , processor takes long time to pick up each fragments and show it. So, Mac users can easily get rid of these problems by following some Mac maintenance activities. If the Mac disk is large and there is lot of free space available then you will hardly notice slow performance. Mac OS X performs a certain amount of defragmentation called adaptive hot file clustering by itself. It tracks file usage and those files that are accessed the most (called hot files) are moved to a special area of the disk. Files in this area can be accessed faster as compare to those files which are accessed rarely. But, this techniques do not work properly in case of large files. So, you need to use any third party tool for this work. Stellar Drive Defrag tool helps Mac user to defrag data and keep it in separate contiguous memory and free space separately. 1. It has the ability to defrag Mac disk completely and increase it's performance. 2. It optimizes free spaces. 3. You can defrag any selected files also. 4. You can defrag Mac boot volume by making bootable volume. 1. Full Defragmentation:- By this option you can do full defragmentation of your Mac including everything like files, meta data, free space etc..
2. Quick Defragmentation :- You can defrag files within limited span of time. 3. Optimize Free space:- It helps to keep all free spaces in contiguous memory and make it easily available for new data comes saved in Mac drive. 4. Metadata defragmentation:- Using this option, you can smoothly defrag all metadata files in your Mac like catalog, allocation, extent overflow, and attribute files etc..
You will notice improvement in Mac performance and it will also prevent new files from being fragmented in future to some extent.